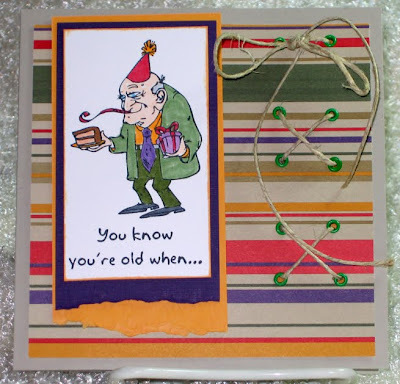 Barb's Card Creations & Other Stuff: My neighbour turns 80 today! Posted by Seniors at Risque at 2:43 p.m.
Barb - I am totally flattered. Casing is the best form of a compliment in my opinion. Thanks so much for checking out my blog. Hope to see you again soon. Love the card and Jack is lucky to have recieved a handmade piece of art from Barb's Heart!! October 1, 2009 at 3:46 p.m.
October 1, 2009 at 4:39 p.m.